Round. Black. Rubber. Tires are BORING. I used to look at tires as those four circular things that cost me a bunch of money every 25,000 miles or so. Nonetheless, they were (and are) essential for keeping me safely on the road, so I would occasionally stop by the shop to have “my guys” take a look and make sure things were rotated and balanced and all that other stuff you’re supposed to do. That’s why I had my guys. They took care of that stuff so I didn’t have to. Then, I got my truck. My truck is cool. My truck has black wheels with huge, rugged tires. Tires are not boring anymore. Tires are awesome. So, when a press release about the new Firestone Destination M/T2 tires crossed my desk recently, I may have paid a bit more attention than I would have a couple years ago. I’m just sayin’. What makes these new tires so great? “The ultimate tire for adventure-seekers.” What, exactly, does that mean? First, let’s get one thing out of the way – they’re not street tires. Can they be driven on the road? Of course. 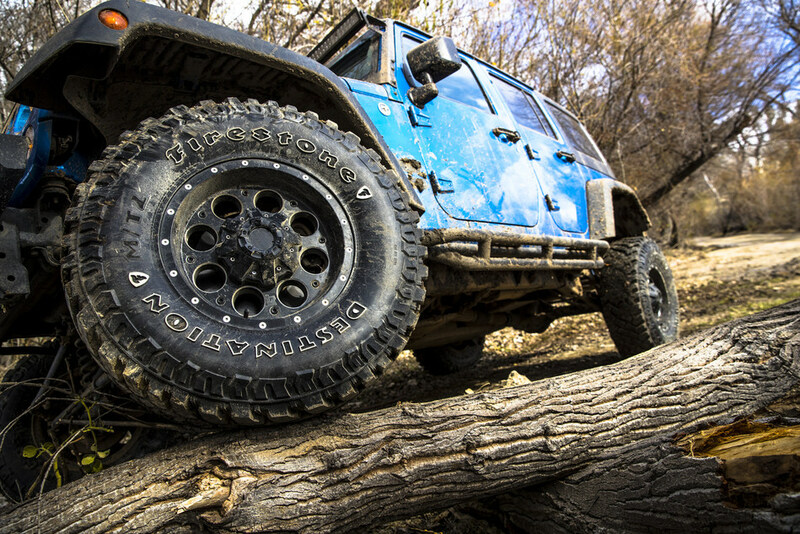 But they are built for off-road performance to easily traverse mud, rocks, sand, etc. Give them all you got. This aggressive, new tire boasts an all-new tread compound and tread design that provides increased traction and more resistance to chips and tears. You want to go muddin’? Bring it on. Thinking about a day at the beach? Forget the parking lot and head straight for the dunes. Or pack a lunch and navigate your way up the toughest trail. Look for the Firestone Destination M/T2 tires available for purchase through authorized Firestone dealers as early as mid-summer 2017.